Robert A. Hunter, Sr. is a SAMS accredited marine surveyor based in North Alabama. His work has stretched all over the southeast. He does many types of marine surveys including insurance surveys, where a minimal but thorough survey is done so that your insurance company will bind your vessel for insurance, to a full purchasers survey focusing on the details that any buyer would need to know before purchasing any vessel. Roberts surveys are respected by many marine professionals. 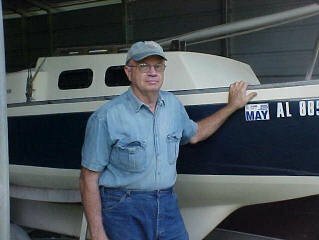 He creates a document including photo's and every detail of the vessel in a neat and very readable format that usually extends to over 20 pages. They are bound and delivered in a timely manner for the party requesting the survey.